Note. 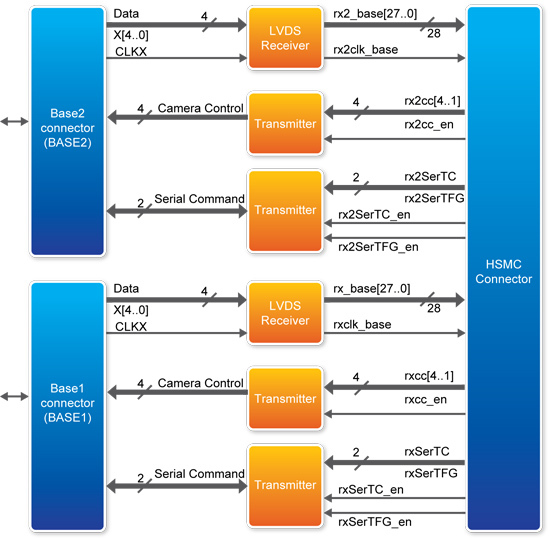 An adapter (HFF) is required to connect CLR-HSMC with DE3. 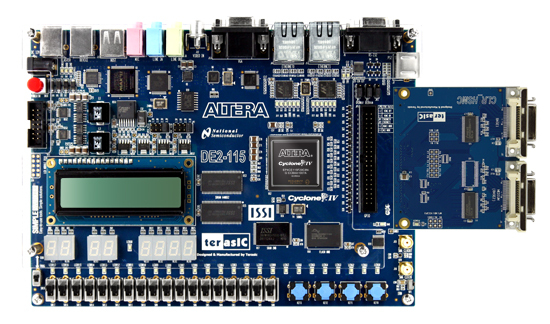 It is bundled in DE3 kit. Note. 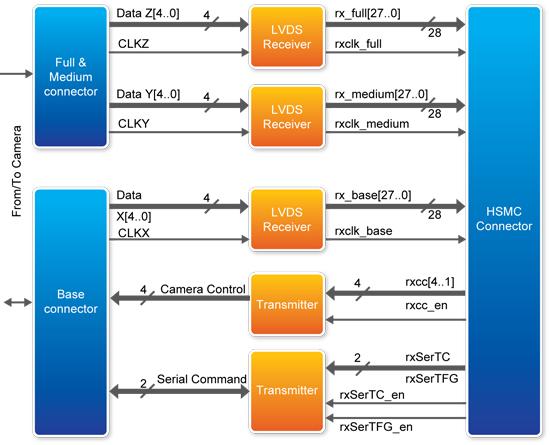 An adapter (HMF2) is required to connect CLR-HSMC with DE4. 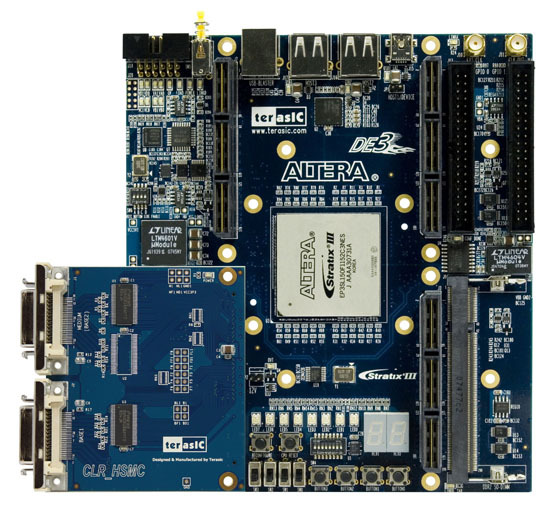 It is bundled in DE4 kit. 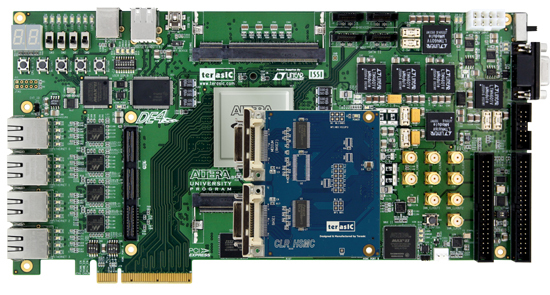 The example demonstrates a combinational application of digital Camera Link camera and Camera Link Interface Card on DE4 board. 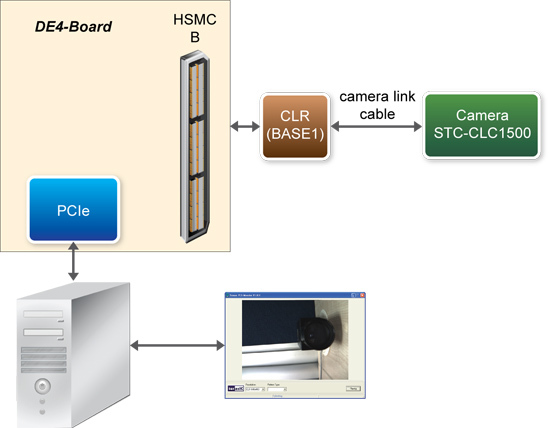 The example demonstrates a combinational application of digital Camera Link camera and Camera Link Interface Card on DE3 board. 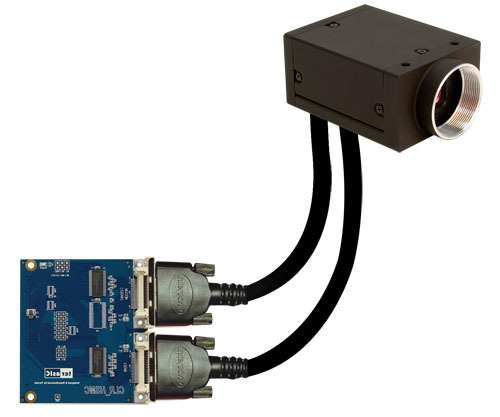 The example demonstrates a combinational application of digital Camera Link camera and Camera Link Interface Card on DE2-115 board. 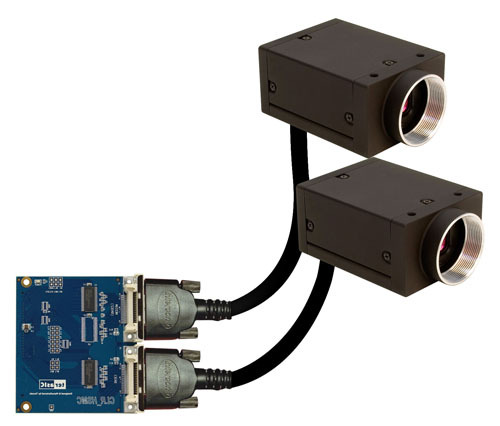 This example is an extension of the above demo on DE4, we replace the DVI interface monitor with a PC terminal application which communicate with DE4 board via PCIe interface and can perform better real-time display of the video frames.